For Christmas, my mom gave me this really cool paper punch. 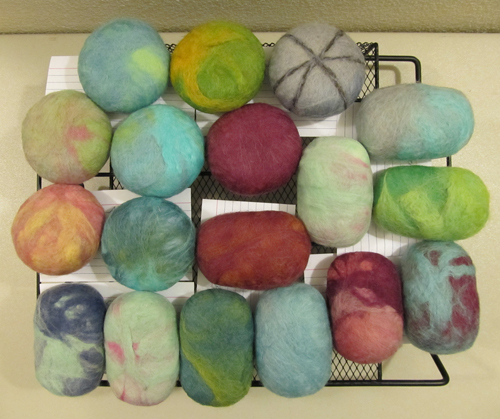 18 bars of felted soap! 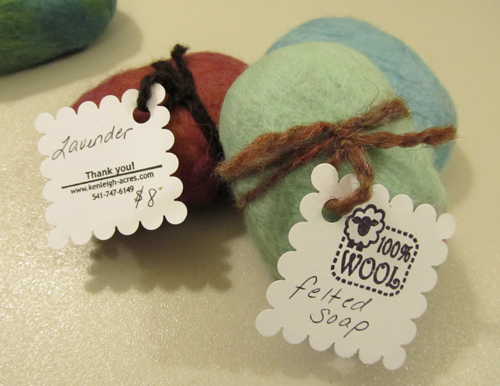 Once they were dry, I needed to tag them with ‘something’ so I could write the scent of soap and price. then I remembered my paper punch and went to work. I love how this particular punch has scalloped edges…it looks like a wooly sheep! 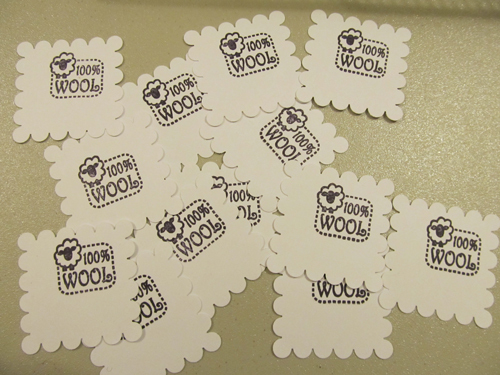 If you want your own sheep stamp though, I did find this one…Custom Sheep stamp. 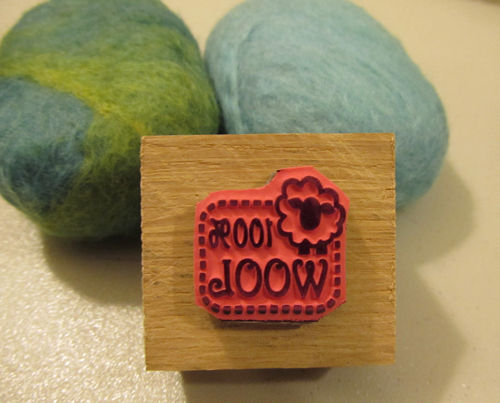 I also found this stamp that says Handmade By. 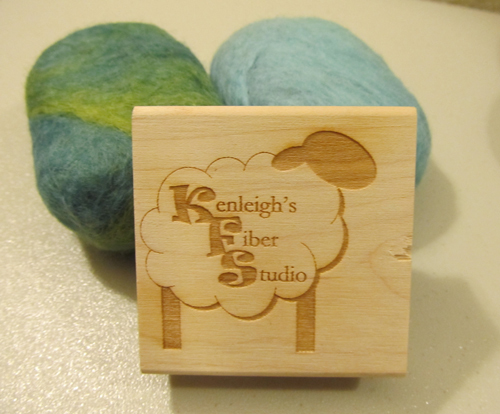 I used a piece of yarn and voila – my felted bars of soap are tagged, priced, and ready to go! you can order one fairly reasonably through Rubber Stamps. 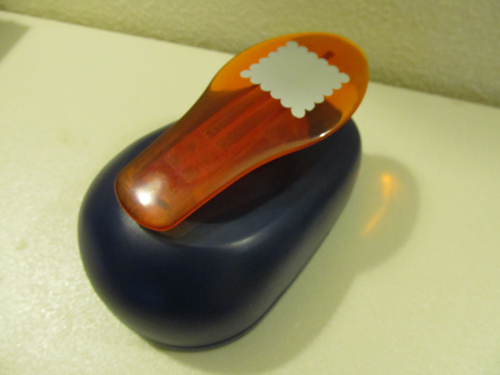 They also have self-inking stamps that you can customize with your contact information. The punches can be found at your local craft store and come in a wide variety of shapes and sizes. You are so sweet Dana 🙂 Give your little dogs a hug for me! I’ve been looking for something like that. Very cool. Thanks for the link. Very nice! Did you make your soap too?